Gathered around a table with a group of military spouses, the chatter included winter reading ideas. Some prefer a good mystery that keeps them glued to the pages. Others enjoy a compelling love story that warms their heart. Then, a friend who works in the real estate field recommended a different type of reading list. Rather than the best selling novels, she suggested I research the best selling homes in my area. Honestly, this may not be as appealing as the latest paperback release! But, if your family finds yourselves in the same boat as ours, you may be preparing to list your home for sale. From my chat with a real estate professional, consider the following points on how the winter market may have off-season opportunities for home selling success. what the homes actually sold for. By browsing the history of local properties you may have a better idea of what to expect if you choose to list your home at this less popular time of year. 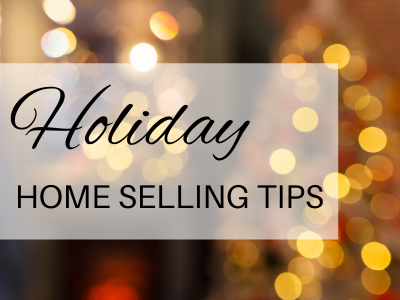 As our post, “7 Do’s and Don’ts For Your Holiday Home Sale” mentions, listing your home in the off season may work in your favor. Like it or not, most everyone becomes caught up in the hustle and bustle of the holiday season. 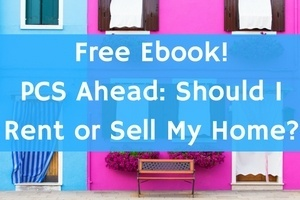 With this in mind, if a potential homebuyer is transitioning to your area in December or January, they may want to get everything squared away in a timely basis. Consider that a quick and easy closing may allow a homebuyer to host holiday celebrations at their new address. Or, completing a punctual transaction may help a homebuyer feel more settled as the New Year begins. An obvious plus of listing your home during the off season is that it will stand out! With less competition, your stellar listing may easily be the brightest star shining amidst the MilitaryByOwner search results. Those curious neighbors, notorious for dropping by an open house just for a lookie-loo, may be less inclined to nose around when it’s cold outside. With less folks “just browsing,” you may have more opportunities to show the home to those with serious interest. Perhaps your home is in a desired area with good schools or abundant community amenities. If parents are busy taking their children to practices, games, and camps throughout the summer, they may not have time to devote to house hunting in your neck of the woods. Even at the mid-year point, your listing may appeal to a family looking to move into your idyllic neighborhood. Often, the thaw of the spring season brings to light needed repairs after a long winter. By the time a homeowner completes a spring maintenance checklist, they may be behind the power curve of marketing their property for sale. By listing your home earlier than most, the timing may work in your favor. Although it’s tempting to hibernate and rest when the temperatures drop, the long winter days offer a premium opportunity to complete the cleaning chores on your “to do” list. A deep clean of the cupboards and closets, draperies and woodwork, and other nooks and crannies around the house may pay off when showing the home frequently. For our family, the winter season is a fun time of year to go outside, even if simply playing in the snow. Trust me, we aren’t fans of bitter cold temperatures! Rather, it’s the warming trend that follows. Returning to the hospitality of our cozy and inviting home renews a sense among us of where we belong. Feeling chilled, we don’t mind sharing a blanket, all snug together, on the couch. Sipping hot cocoa, we find ourselves warming our fingers and toes and telling stories by the toasty fireplace. The idea of coming in from the cold to a tender and welcoming space triggers a sense of comfort and relaxation. This is the vibe that a seller may want to create when hosting a winter open house. Draping a soft blanket over staged living room seating. Adding a wicker basket of scented pinecones near a flickering gas fireplace. Or, taking a cue from a TV home improvement show and artfully wrapping a small stack of fireplace wood with twine. Much like a posh resort, setting out a plush robe and comfy looking slippers by the bed or in the bathroom may bring a sense of luxury. Selecting décor with tasteful pops of bold color. This can bring cheer around the home if the landscape outside has the winter blahs. With daytime showings, pull back the curtains to allow each space to be filled with natural light. Beams of sunlight may stir positive feelings if the winter solstice months seem particularly dreary. No matter what time of year you list your house, you'll want to provide photos of the home throughout the year. These photos may give a potential buyer a glimpse of what to expect from season to season. Your willingness to share the appealing details of your home may be what sets it apart from other properties on the market. Thanks to spontaneous orders, if a military family needs to transfer mid-year, your off-season ad may be “the gift that keeps on giving”! As in, just what they are looking for! If you want to add to your winter reading list, consider the creative and oh-so convenient content curated for you on MilitaryByOwner, along with information on how to list your home.